Recommended by veterinarians to help prevent life-threatening hairballs from developing. Effectively reduces excess shedding without harming sensitive skin. Stainless steel deShedding edge reaches deep beneath your pet’s topcoat to gently remove undercoat and loose hair. Shorter ergonomic handle for added versatility when grooming small pets. 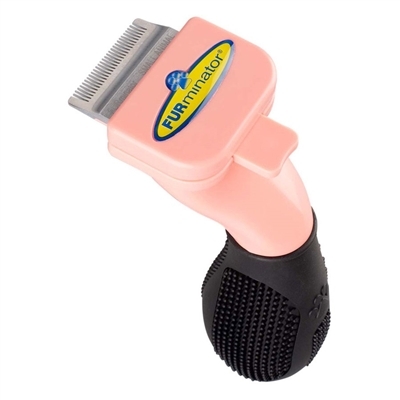 Guaranteed to reduce shedding better than any brush, rake or comb. Designed by a groomer for professional results.